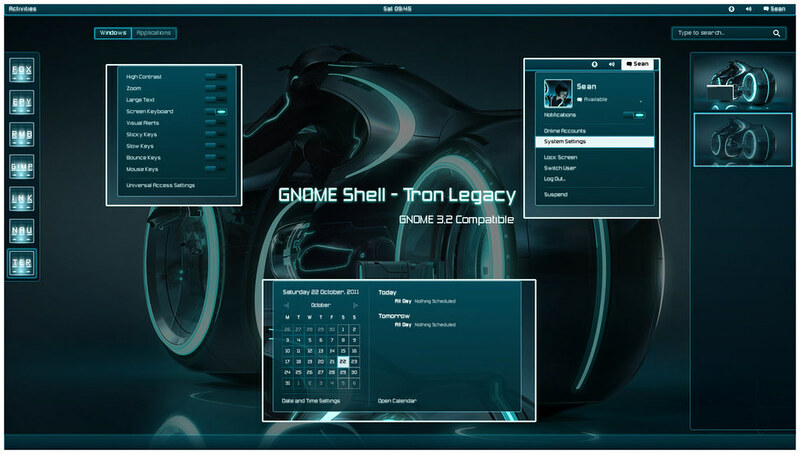 This is a GNOME Shell theme inspired by the film Tron Legacy. 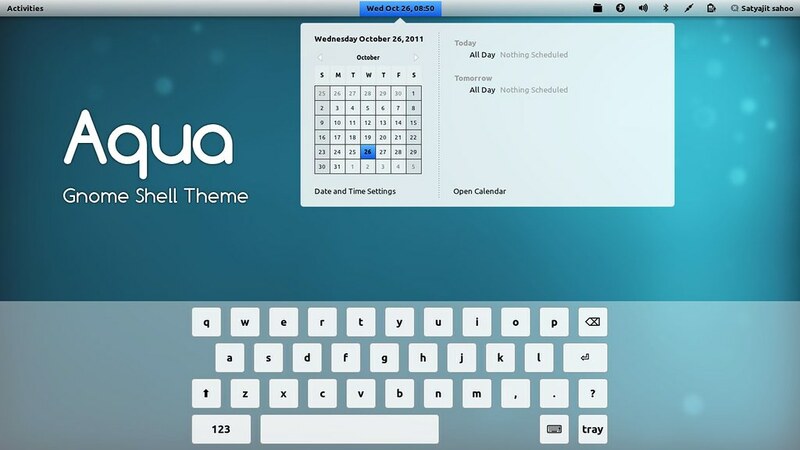 Aqua is a subtle light theme for Gnome Shell (Too much light?). The theme is compatible with the latest Gnome Shell 3.2.